We anticipate breeding two litters of golden retriever puppies this year. Our selected girls are due to cycle at any time. Each litter is expected to produce lovely, talented puppies that will be suitable for many activities including hunting, obedience, agility, hunt tests, SAR and more. We raise our pups to be confident, well-socialized puppies that make wonderful family companions. We specialize in raising field golden retrievers. These dogs have a great deal of drive which makes them very desirable for all of the above activities. We HUNT all of our dogs! They are NOT couch potato pups. The most successful placements are in families or settings with a high level of activity; these pups need regular - DAILY- exercise no matter the weather. Please consider the amount of time you are willing to commit to a puppy to be certain that the pup is a good match for your lifestyle. We welcome inquiries from people who have experience with dogs and have an active lifestyle. We expect new puppy owners to have a plan for working with and training their puppy. All of our dogs have full Health Clearances. We offer a written health warranty for our pups. Our puppy price is $2500. All pups are sold with limited registration (no breeding rights). If you wish to breed your pup, our breeding contract applies. Please complete our Puppy Application if you are interested in a puppy; we will call you once we have received it. We always enjoy visiting about these special golden retrievers and look forward to sharing our plans for these litters. Photos of each of these dogs can be found on their individual pages; go to Our Boys or Our Girls and click, then click on the dog's photo that you wish to see. We are compiling Wait Lists for these litters. Most litters are reserved well before the litter is born, often before it's bred. This page will be updated with news as we have it. Please contact us for more information or to schedule a kennel visit. 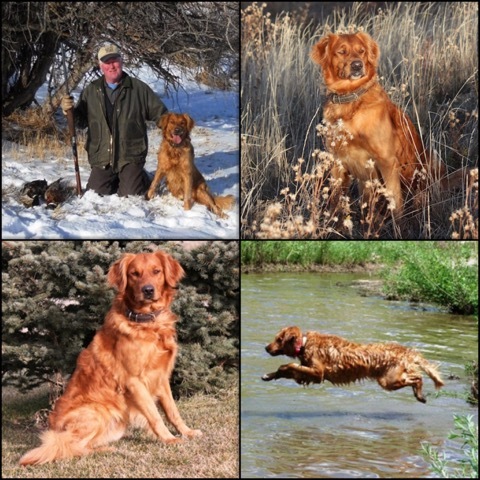 LULU AND CANUCK will produce true, real-deal hunting dogs with loads of natural intelligence and instinct. The best way to find a hunting pup is to get one from hunting parents. Puppies from this litter will be strong field and performance dogs who are well-suited for many venues including hunting, hunt tests, Search and Rescue, agility and obedience competition plus they will also make wonderful family companions. LULU comes from a long line of talented field dogs that represent some of today's most successful competitors. She is a strong hunting dog and leaves no brush unturned; she goes all day long. 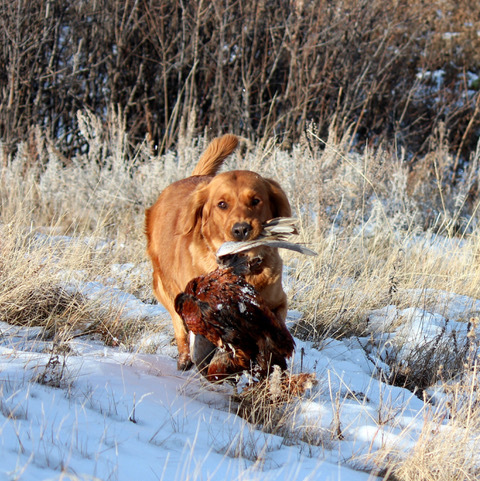 She has a great nose, is especially fast and is relentless on retrieves. She has a sweet nature, is highly trainable and is easy to live with in the house. LULU's dam is our Babe. Babe's sire is FC AFC Emberain Beau Geste OS FDHF. LULU's sire is our male, Lucky. Lucky's sire is FC AFC Topbrass Band On The Run FDHF, plus he comes from a solid field pedigree that is full of some of the greatest field goldens. LULU is dark gold. 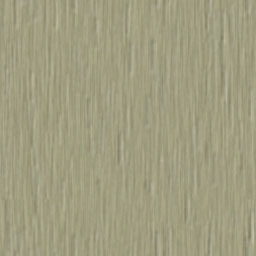 She weighs 58# and has an ideal field coat with minimal feathering that is easy to maintain. FC AFC FTCH AFTCH Can OTCH TNT's Explosion Am UD FDHF Can FDHF OBHF and FC AFC Steeplehill Ranger OS FDHF. Canuck is a handsome dark gold dog with a great work and water ethic; he gets along well with all dogs and people. He is approximately 70 pounds. Pups from this litter will HUNT... and do any number of other things they are asked to do! Puppies due mid-March. Call for information. LUCKY is a strong bird hunting dog plus he is our resident 'clown'. 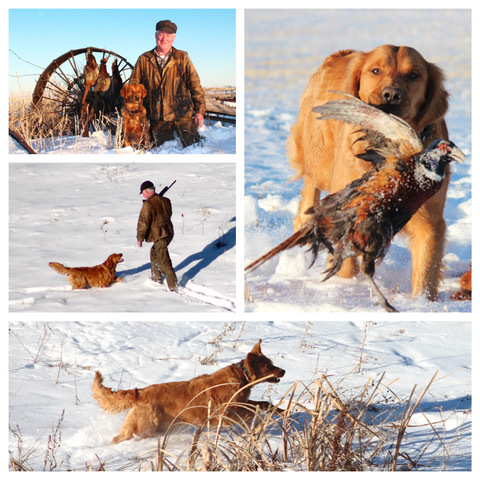 When in the field, Lucky is "all business" and is such a valued hunting companion. He possesses a real natural intelligence and ability, and is incredibly athletic. 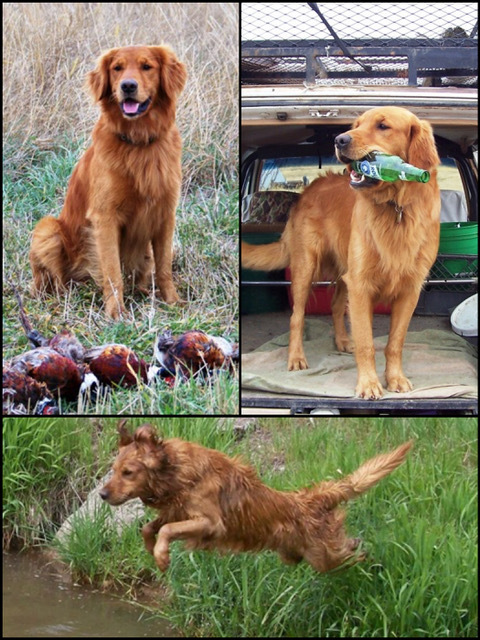 His sire, FC AFC Topbrass Band On The Run FDHF exemplifies the qualities needed in a strong hunting dog, plus Band's sire, FC OTCH Topbrass Ascending Elijah was the first golden retriever to ever earn a field championship as well as an obedience trial championship. There is a ton of great talent in Lucky's pedigree! Lucky's dam is our wonderful foundation girl, Lucy. She was our perfect golden retriever who would hunt all day long and then become the special guest at our childrens' parties. Lucky weighs 73 pounds, is a classically beautiful golden retriever, dark gold in color with a correct field coat. We anticipate strong working dogs suitable for many venues. The parent dogs are healthy, athletic dogs with high levels of trainability and solid temperaments. These pups are bred to be working dogs and will do best in homes with dedication to training and interaction with the pups. We welcome inquiries from people who have had experience with high drive dogs that plan to use these pups in the field or active lifestyle. There are no "Pet" placements available in this litter; working homes with dog experience will be considered for these puppies. We expect Nellie to be bred in May/June for summer puppies.